WordPress is the most popular content management system in the world. The website builder powers over 80 million websites- a figure slightly above 25 per cent of all websites on the web. If you’re new to WordPress, you may be wondering which is the best hosting plan for your site. Shared hosting and managed hosting are the two main options; the choice depends on your budget, ideal features and expected performance. Shared hosting, as the name suggests, allows users to host multiple websites on a single server. It is ideal for new websites or small businesses that are looking to cut down their operational costs. All websites on the server share computing resources including memory, bandwidth and CPU power. While shared hosting is often associated with slower speeds and security risks, a quality shared hosting, with up to ten websites on one server can help address these downsides. Shared hosting users are required to set up and configure their websites. However, you can always contact the support team if you need help troubleshooting problems or setting up your WordPress site. Managed WordPress hosting is a dedicated set of services, optimised performance and other value-adding features. In managed hosting, the operating systems and servers are configured to maximise the performance for WordPress. This hosting plan comes with better security features, automatic updates, automated backups, and professional support. It is designed to help subscribers get the most out of its features. Here’s a deeper look at how the two hosting plans compare in terms of performance, security, customisation and cost. In shared hosting, there are a few drawbacks associated with performance. All websites on a shared server use the same set of resources; therefore, if a site overuses its share of resources through heavy traffic, it causes other sites to run slowly. Although it offers several customer services and support options, the hosting provider support staff handles issues related to different site building platforms. So, if your issue is purely a WordPress installation problem, you might not get the best help to fix your problem. 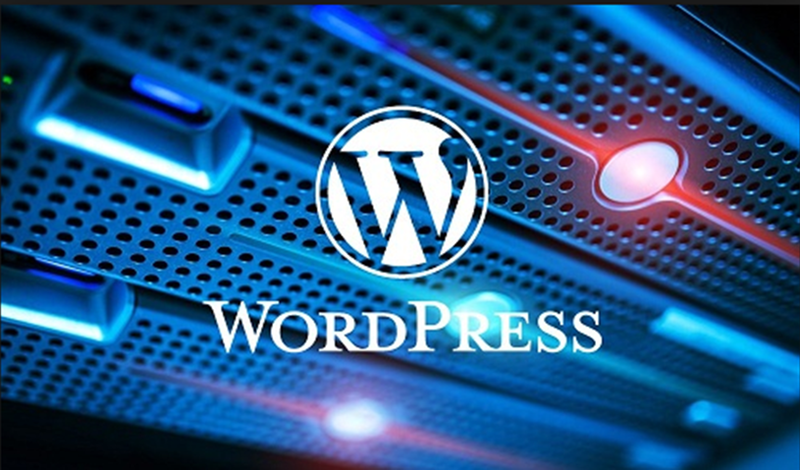 Managed WordPress hosting service providers may also share servers, but the servers are purely dedicated to running WordPress sites. They are optimised to provide and support the latest WordPress updates and features. Managed hosting is associated with reduced risks of downtime since only a few sites are sharing the server, which is specifically configured for WordPress. The host’s support staff are often WordPress specialists who provide assistance to users who are looking to set up their sites. In both managed and shared WordPress hosting, site security is primarily the function of your hosting provider. In a shared WordPress hosting environment, the provider applies security measures on the server. However, with thousands of websites sharing resources, a security breach such as malicious activity or malware can potentially leak across the websites. In managed hosting, there is a higher level of server and website security. With fewer WordPress websites involved, the host can focus on providing data protection and eliminating risks arising from shared computing resources. Compared to other CMS and website building platforms, WordPress is highly customisable. It provides a myriad of ways through which tech-savvy users can tweak its code to customise their websites. Shared hosting is ideal for new users or those with limited web design experience. A shared hosting account allows you to customise some WordPress features from the control panel, which includes adding different plugins and widgets for additional functionalities. In a managed hosting environment, the provider typically handles the larger part of customising and setting up your WordPress website. In most cases, users are prohibited from adding some plugins or making certain tweaks to the functioning of the website. This limited control and inability to integrate extra features could be detrimental to the sites overall performance. Shared WordPress hosting offers an economical alternative to get a site running even when a tight budget. However, low cost means limited features and support for WordPress websites. Managed WordPress hosting, on the other hand, is generally more expensive- from basic hosting to feature-rich enterprise options that cost hundreds of dollars per month. It offers dedicated support and service options that support the growth and scalability of WordPress powered websites. Putting it all together, low-cost shared hosting allows new users on a limited budget to set up and get their websites running in the shortest time possible. Its pricey counterpart, Managed WordPress hosting is ideal for more established businesses or e-commerce stores. – Shared WordPress hosting is a low cost, good starter option for smaller websites, blogs or online portfolio. It allows you to practically install any third party tool you wish to integrate into your WordPress. It is the best option if you do not expect your website to receive large amounts of traffic. While pricing is a legitimate concern, you might want to consider upgrading to a managed plan as your site traffic grows. – Managed WordPress hosting offers dedicated WordPress services and resources for your website. It can save your online business with regular maintenance, responsive support and lesser downtime. This makes it ideal for large websites with a higher amount of traffic. If you are having trouble setting up or hosting your WordPress site, get in touch with for professional help. The team at Broadcast SEO can also help in growing your online business through our comprehensive web design, SEO and marketing services.